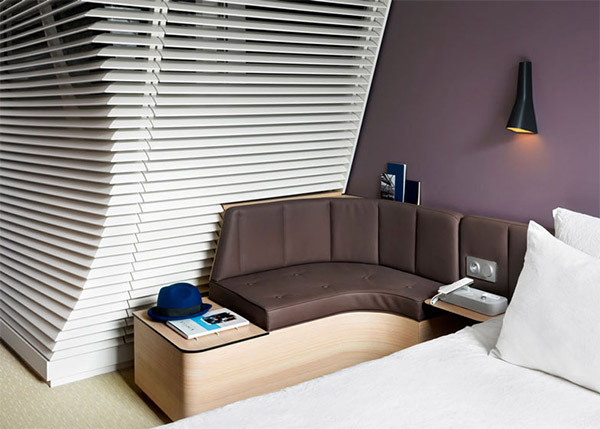 The Okko Hotel in Nantes interior design is unique and innovative. It’s designer, Patrick Norguet a french interior designer, had to work with extremely compact rooms creating functional spaces. The final result is this unique and innovative hotel which saves a lot of space. The hotel’s rooms are very contemporary in color (mainly white with some pail pallets) and are complimented by functional amenities. The interior designer created a design that makes the the most out of small bedrooms by making the space functional, comfortable, and sleek. 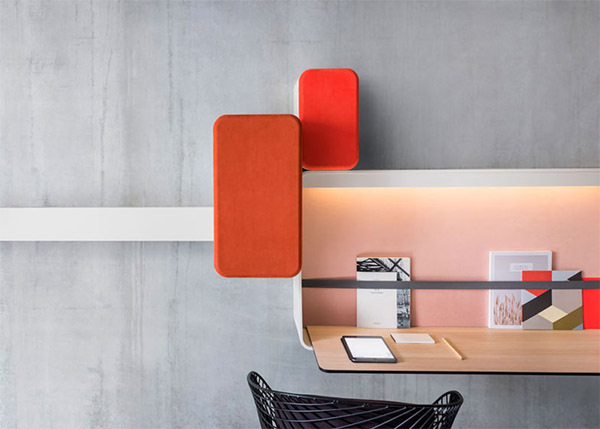 Each room is 18 square meters and they are incorporated with a wall-mounted desk, small seating area, and a bathroom. In order for a designer to accomplish this minimalistic design goals, he insisted on removing unnecessary items and focusing on what the guests really need. He understood that users want services that will enhance their well-being during their stay. 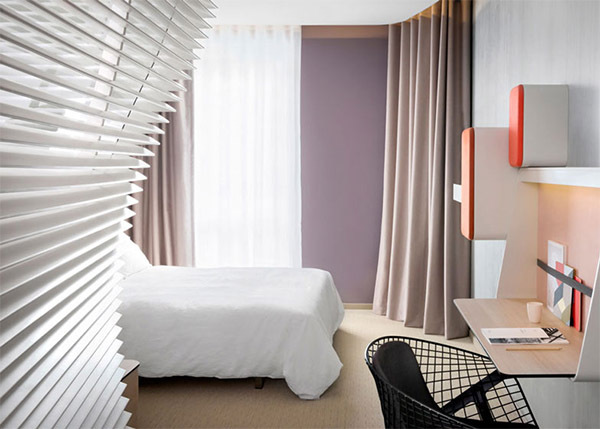 Within the 18 square meter room guests will find a television and small storage area that is located behind curtains. 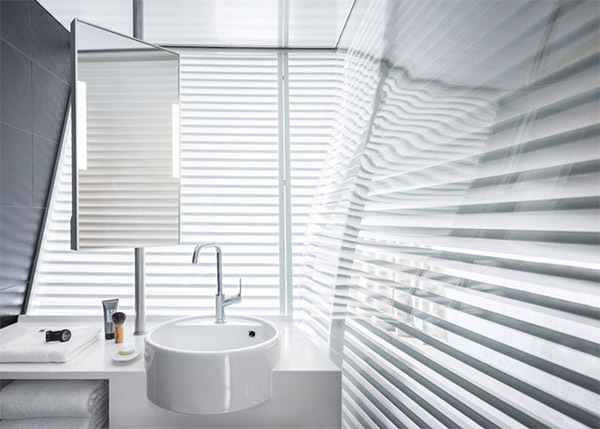 For privacy, bathrooms are lined with curved slotted glass walls to keep the space bright but still watertight. The lounge area is a comfortable clubroom setting with sofas, armchairs and coffee tables. 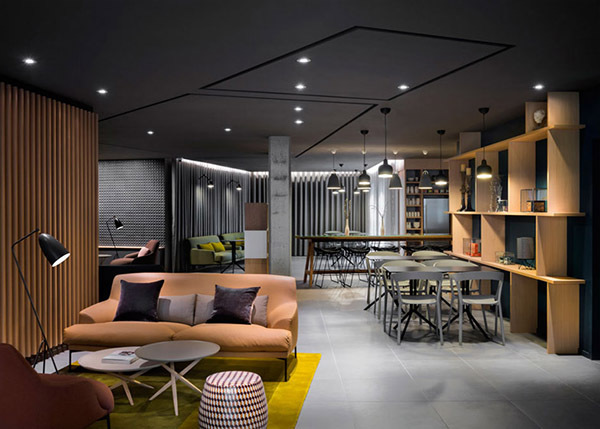 Guests will also notice wood textured walls, floor-to-ceiling curtains, and colorful bright rugs which add some excitement to otherwise monochromatic hotel. 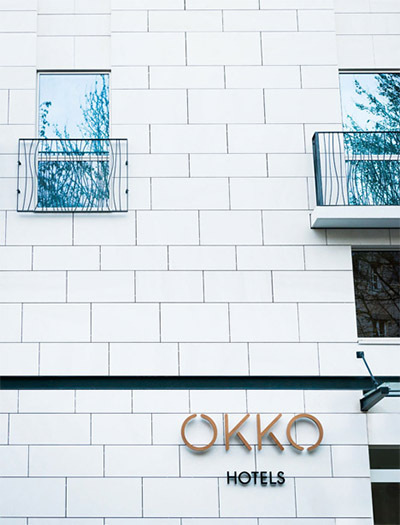 The Okko Hotel also features a breakfast bar and fitness center. The breakfast bar can be accessed at anytime, plus there is a desk area where guests can work. The design of the fitness center is also monochromatic with bright red accent of walls and industrial lights. 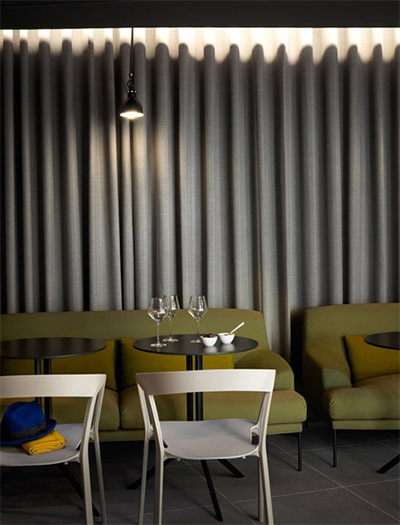 The Okko Hotel in Nantes is the first of its kind. but planning to open in other cities like Grenoble and Lyon.